We offer a full range of cosmetic procedures in a spa setting with technologies designed to give patients the confidence that comes along with a gorgeous, new smile. A beautiful smile begins with healthy teeth. In many cases, Dr. Chartier develops a working model of your bite and works with other professionals to expertly restore decayed or broken teeth and rebuild your smile. Dr. Chartier is approved by the Georgia Board of Dentistry to provide services utilizing injectable pharmacologics including BOTOX and Juvederm Injectable Gel. She is certified by the American Academy of Facial Esthetics and also serves as an Instructor for the Academy. Many adults spend their entire lives covering their mouths when they laugh, smile or talk. They do not want to wear adult metal braces for years or they are concerned that straightening procedures could be too expensive. Six Month Smiles is an effective and affordable cosmetic braces solution for teeth straightening that fits any lifestyle for adults. 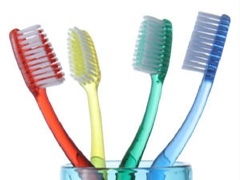 Keeping a smile healthy often starts with a combination of in-office cleaning and at home care. Dr. Chartier and her state licensed team provide gentle, professional care based on techniques honed in regular continuing professional education. They are committed to providing complete, individualized care. Teeth Whitening - Using the Zoom™or LUMA in-office teeth whitening systems, we can give you noticeably whiter teeth in about an hour! Porcelain Veneers - If you are uncomfortable with your smile because your teeth are uneven, cracked, oddly shaped, chipped, crooked or have other irregularities, porcelain veneers offer a natural-looking option without braces. Cosmetic Dental Bonding – This simple, low cost technique allows us to close small gaps between your front teeth, even-out teeth, or repair chipped or cracked teeth. Bridges - If you are missing teeth and committed to maintaining good oral hygiene practices, you are a candidate for a bridge. A bridge is a natural choice to fill the space in the mouth left by missing teeth. Dental Implants - Dental implants are the next best thing to re-growing your own teeth. They replace the roots of teeth that have been lost through injury, decay and gum disease. Porcelain Crowns, Onlays & Inlays - Natural looking and long lasting porcelain crowns, onlays and inlays work perfectly to restore function to weak, worn or broken teeth. Tooth Colored Fillings – We match the color of your fillings with your existing tooth surface to craft a smile with a natural look and feel. Attractive Dentures and Removable Partial Dentures - Patients can enjoy a beautiful smile even if they dont have their own teeth. Minor Orthodontic Tooth Movement - If you have one or a few teeth out of place, ask if you are a candidate to correct the problem with a removable retainer appliance. Botox – the commercial name for botulinum toxin, is a prescription medicine that is injected into muscles and used to improve the look of moderate-to-severe frown lines between in people 18 to 65 years of age for a short period of time (temporary). It is administered by a healthcare professional as a simple, nonsurgical treatment that is injected directly into the muscles between the brows. It works by blocking nerve impulses to the injected muscles. This reduces muscle activity that causes moderate to severe lines to form in different areas of the face. Juvederm – is an injectable smooth gel filler that is used for contouring and volumizing facial wrinkles and folds in the skin. It may be used to rejuvenate multiple problem areas, from smile lines to vertical lip lines, you can smooth away unwanted wrinkles and restore natural contours. Just one treatment can smooth away your wrinkles for up to 1 year, however results from injectable dermal fillers may vary and correction is temporary. Supplemental “touch up” treatments may be required to achieve and maintain optimal correction of your wrinkles and folds. Preparing for Facial injections - Avoid any medications that can prolong bleeding, such as aspirin and non-steroidal anti-inflammatories (NSAIDs), for at least a week prior to receiving the treatment for wrinkles in order to reduce the risk of bruising and bleeding at the injection site. Retainer. As with any teeth-straightening treatment a retainer is necessary to maintain the straighter position of your teeth. 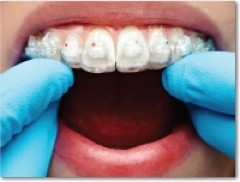 If you don’t want to wear a removable retainer, you can have a bonded retainer placed. There are a variety of options that you can choose from according to your personal preference and situation. 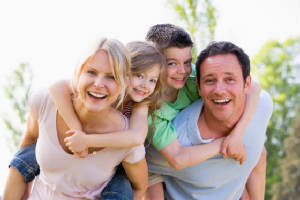 Is Six Month Smiles® right for you? The best way to find the answer to that question is to contact a Six Month Smiles Provider near you and schedule a consultation. However, by answering the following six questions related to your lifestyle and your expectations we can help you determine if you should consider taking that next step. Take the questionnaire. Oral Hygiene & Periodontal Disease - Our hygienist focus on comprehensive methods of preventing periodontal disease. Thorough screenings and digital x-rays, combined with prompt care, help our hygienists assist you in maintaining your oral health. Scaling and Root Planing – In cases of periodontal disease, our hygienists perform the removal of plaque, calculus, and stain from the crown and root surfaces of teeth. Smooth roots provide less opportunity for bacteria to hang out and form calculus. In periodontal disease, pockets form that are deeper than the usual gingival depth and scaling and root planing are often referred to as deep cleaning. Fluoride Treatments - Fluoride treatments help prevent decay, and keep the teeth in place, making them less vulnerable to bacteria. We recommend regular fluoride treatments for younger patients and for adult patients who are still at risk for tooth decay or sensitivity. Bruxism (Teeth Grinding) - Do you wake up in the morning with a headache or sore facial muscles? Are your teeth sensitive to cold or touch? If so, you may be suffering from bruxism, also known as teeth grinding or clenching. We can help you prevent excessive damage to your teeth and the need for expensive dental reconstruction through the creation of custom guards for your bite. Dr. Michele Chartier offers years of experience building smiles, combined with the right technology for delivering cosmetic and restorative care. All in a spa-like setting that will relax you. Copyright © 2014 MRC, DDS, PC. All rights reserved.